EXO Series spark plug boots are designed to withstand extreme racing and high heat environments. Cool-Tube is designed to protect wires, fuel and brake lines from extreme heat and is capable of reflecting radiant heat of up to 250°C. It is made from a convoluted nylon tube and covered with aluminised fibreglass fabric. Constructed from a high temperature resistant braided glass material, woven into a sleeve and heavily coated with 100% silicone rubber, Fire Sleeve provides the ultimate in heat insulation and protection from directheat up to 250°C, Intermittent heat up to 1000°C. 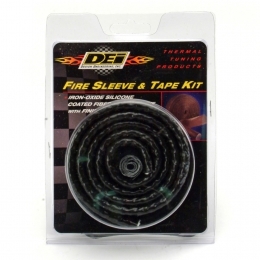 Constructed from a high temperature resistant braided glass material, woven into a sleeve and heavily coated with 100% silicone rubber, Fire Wrap provides the ultimate in heat insulation and protection from directheat. 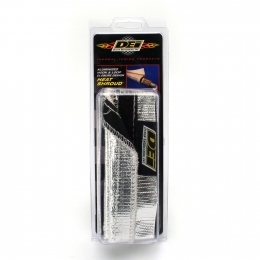 Designed to slide over wires, cables and hoses, Heat Sheath provides the ultimate protection from extreme heat as well as chemical and oil spills, dirt, grease androad grime. 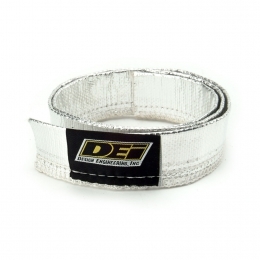 Constructed from a high temperature fabric and bonded to an aluminized material to reflect heat. 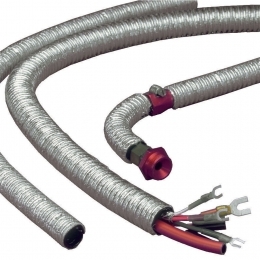 HeatSheath is fireproof and withstands direct heat up to 500°F. 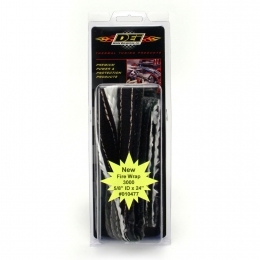 Constructed from fibreglass fabric bonded to an aluminised material, the DEI heat shroud is easily fitted around wires and pipes to protect them from the damaging effects of heat.